Your votes are needed for QB Matt Flynn and RB Eddie Lacy to win two of the league’s weekly awards. Flynn is up for the Never Say Never Moment of the Week for his four-TD performance in the second half at Dallas. Flynn led the Packers offense to five TDs on five possessions in the second half as Green Bay rallied from a 26-3 halftime deficit for a 37-36 victory. The other nominees are Arizona CB Antoine Cason for his two INTs against the Titans and Baltimore K Justin Tucker for his 61-yard game-winning FG vs. the Lions, his sixth field goal in an 18-16 victory. To vote for Flynn, click here. Lacy is up for the Ground Player of the Week following his 21-carry, 141-yard performance in Dallas. Lacy had 110 of those rushing yards in the second half, and he scored the game-winning TD on a 1-yard dive over the pile with 1:31 left. Other nominees for the award are San Diego RB Ryan Mathews and St. Louis RB Zac Stacy. To vote for Lacy, click here. 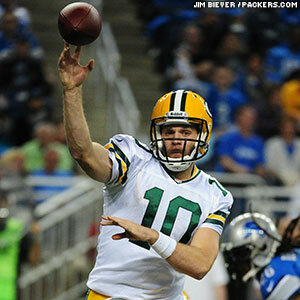 Last week, QB Matt Flynn got a couple of short, walk-through practices to get ready for his first Packers start of 2013. This week, Flynn was able to get a full, normal week of preparation for his second straight start in place of Aaron Rodgers, and he expects that to make a big difference. Any and all fluidity was lost last week against the Lions, a game Flynn says you just have to “forget about.” Detroit packed eight and sometimes nine defenders at the line of scrimmage, daring the Packers to beat them with the pass, and Flynn says it’s up to the offense to take advantage of those situations, which leave single coverage on the outside against the wide receivers. Up front, the Packers could be shuffling on the offensive line again, with C Evan Dietrich-Smith listed as questionable after missing practice on Friday. 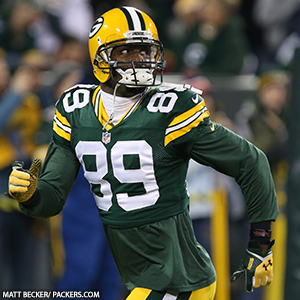 He injured his ankle on Wednesday, and the Packers have a few different ways they could go in his absence. Flynn expects the Falcons to give the Packers a number of different defensive looks to try to confuse them with their pass-protection assignments. Given that, it will be important to trust the offense and the preparation. As much as everyone wants to make up for the disaster in Detroit, that can’t be the mentality come kickoff on Sunday. Head Coach Mike McCarthy conducted a conference call on Saturday with Miami media regarding the hiring of Joe Philbin as the Dolphins new head coach. 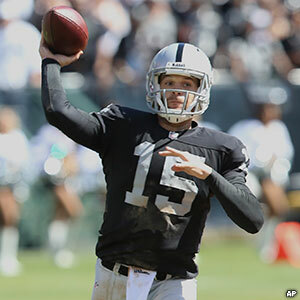 QB Matt Flynn’s record-setting performance against Detroit will be shown on NFL Network’s NFL Replay at 8:30 p.m. CT Tuesday. Flynn and Lions quarterback Matthew Stafford combined for 1,000 gross passing yards (971 net passing yards) in Green Bay’s 45-41 victory. Flynn set Green Bay records with 480 yards passing and six TDs.